ABOUT OUR LACROSSE HELMET DECALS! Team Pride Awards creates custom UNLIMITED COLOR lacrosse helmet decals including vent hole covers, awards, back strips and numbers. You can order your helmet decals as a set or if you just need a pair for the sides, customized the way you like it. 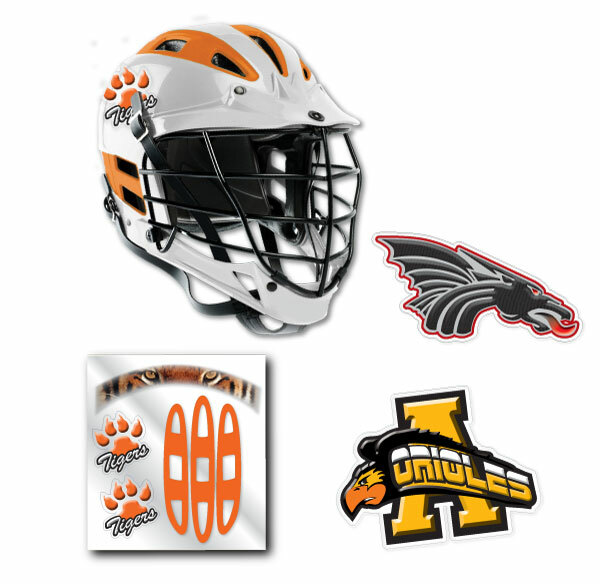 We takes pride in its lacrosse helmet decals that include vent hole covers, back strips, awards and numbers. These are customizable and can be printed in any color without any additional charge.We even do side decals with sizes reaching up to 36 square inches. Have fun with your lacrosse helmets and unleash your creativity.